PAM: Hi everyone! 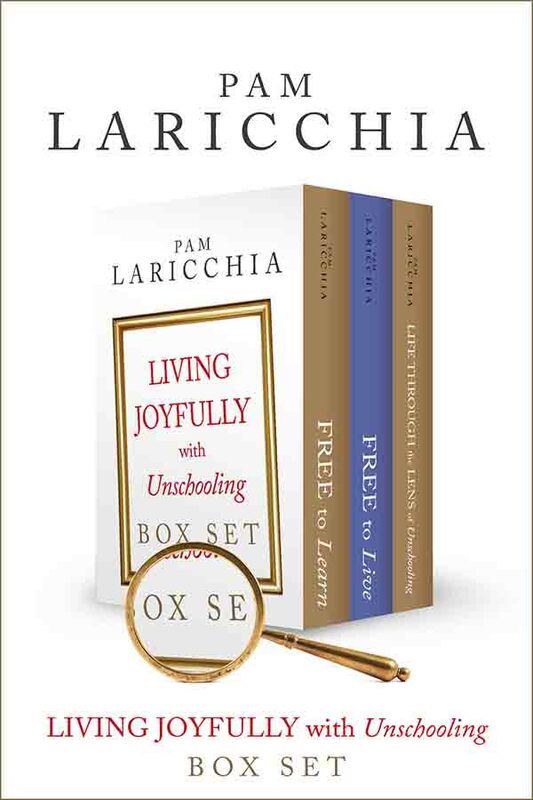 I’m Pam Laricchia from livingjoyfully.ca and today I’m here with Jan Fortune. Hi Jan! PAM: Hi. 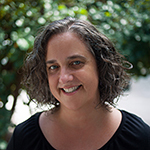 Now just a bit of introduction for anyone who hasn’t come across Jan’s work yet, she studied theology and did her PhD in feminist theology back when it was an emerging area. She home-educated her four now-adult children in the UK and over the years has written many articles and five books on home educating and parenting. 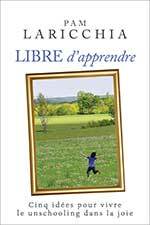 Her last book on the topic, Winning Parent, Winning Child, focuses on living with children in ways that respects their autonomy. Jan is also a novelist, poet, and editor and runs Cinnamon Press now on it’s twelfth year and I have been enjoying her recent articles on medium. Yay! JAN: Well as you say, they’re now all grown-ups so my children are now aged 23 to 31, which feels quite extraordinary. And they were all home educated right throughout. My oldest son now lives in London with his wife who is from Alberta. He completed a PhD in writing last year and is running an editing consultancy. My older daughter is a pediatric nurse currently on maternity leave so she’s just starting her own adventure in autonomous parenting. And my two younger children are both in university doing master’s degrees, oddly both at the same university, so they’re able to share a house. Cartier in fine art and textiles, and Steph is again doing a writing master’s, though he did film for his first degree so he’s kind of got a mixed bag going on there. So yeah, they’ve kind of got through those years and are still learning. 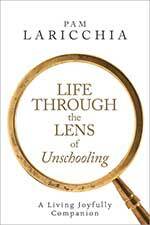 Now can you share with us a little bit about what your family’s move to unschooling looked like way back then? JAN: Yeah. It’s really interesting to think that far back when you sent me that question because, when we began, we really on had a kind of school model in our heads so we immediately rushed out and bought, you know, half the textbooks in the country and tried to timetable our lives. And then it became very, very apparent quickly with three children at that stage of ages one to five that home doesn’t really look like a classroom and that home doesn’t function like that at all. It’s not that kind of environment. So, the first thing I think was just relaxing and just giving ourselves some time and I started to do some reading—people like John Holt and John Taylor Gatto were quite important. And then we just kind of felt for quite awhile that we were making it up as we went along, and we were a bit uncertain because we were living in an area with very few other home-educators so we were kind of very alone. PAM: That’s brilliant. I love hearing about how originally it was—we’re just going to figure out what works for us, and then discovering that there was some other people doing it. That’s so interesting. JAN: Yeah, it might have a name after all! 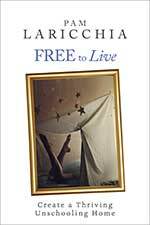 One of the first really big paradigm shifts that happens as we move to unschooling I think, is from that conventional idea that childhood is a preparation for life in the adult world to the idea that a child’s present life is intrinsically valuable and important. And yet, almost paradoxically, focusing on living well in the present moment, as you were talking about, and just solving today’s problems as they show up, turns out to be a great way to prepare for life as an adult, doesn’t it? JAN: Absolutely. And I think it’s magnificent once you realize that that remains true throughout life. Living well now is the best preparation for the future. And I think the whole notion of childhood as a training ground is so flawed. It’s assumes that children aren’t really quite autonomous human beings. They’re a kind of raw material that we’re given to shape. Obviously, children have less experience in the world, but they’re not less human or less creative. And I think seeing them as this raw material that we have to shape is quite damaging. So yeah, absolutely living in the moment really cracks that open. PAM: And that’s something that’s really hard to do, at least I found at first. Because we grew up being so focused on, “I have to achieve this,” “I have to get there.” We’re always reaching for something. So, we don’t practice appreciating the moment, do we? JAN: And we feel responsible, obviously. As responsible parents we don’t want to be letting our children down so if we see all these other parents do a kind of got this, this goal-oriented, very future-oriented mindset, it’s very easy to kind of fall into keeping up with that. So yeah, living well now—you have to remind yourself all the time. Probably should write it down several times a day. PAM: It’s true! And then, that’s something that you learn. You have to do it for awhile and gain experience and realize that it’s really something you have to look back on a bit to realize how approaching life day-to-day actually gave us so much knowledge and skills that are available to us now, in the moment. It’s amazing. JAN: Yeah. I mean, you can’t keep taking its temperature, can you? Because you can look back, but if you’re trying to check it moment by moment, you can’t see it. There’s a lot of trust involved. In an article you wrote for Life Learning Magazine, you dove into the building blocks of an autonomous or unschooling learning environment. Autonomous learning is more often the term in the UK, isn’t it? JAN: Yeah, I think so. I loved the point you made in the article about how this lifestyle transcends boundaries. And not just academic subjects, right, but getting to the place where there are essentially no boundaries between learning and living. I love that, and I was hoping you could share some of the boundaries that melted away for you, because again, it’s that level of trust that we were talking about before, isn’t it? JAN: It is. I think that absolutely pinpointed it. That trust is key. And once we stop viewing our children as buckets into which we can pour knowledge, become trusted to become active learners. And at any one time, a child is going to have their own interests and she knows what she needs to address and they might be things like collecting information—they might look like traditional learning or they might be about how she shapes her day or how to spend time or how to be a certain type of person. All of it becomes learning and it doesn’t look like what we think of as education. So that trust becomes really pivotal. If we believe learning is about everything we do than it’s impossible to conceive of your children as not learning. Of course they’re learning. And I think, for me, a key boundary that melts away is around what I might call educational products that people outside a school environment might think that children should be amassing—filling text books, reports, essays—but when education and life become integrated, a lot of education isn’t visible. It takes place by visiting somewhere, it takes place in conversation, it takes place in the supermarket checkout. You don’t have a kind of record of it that you can physically pick up. Sometimes it might be sitting in a tree gazing at the stars or paddling in a stream, but everything you do becomes educational. Not in that kind of forced sense of being milked for its value but simply because you realize the main thing is to get on with life and solve that day’s problems on their own terms. And I think as that builds up year by year, life looks very uneducational and we would have moments when you hold your breath and think, ‘Are we kidding ourselves? Are they going to be okay?’ But clearly, they are. Their solving life looks that much better than keeping textbooks. PAM: It’s so true. I know those moments that you’re like, WHAT ON EARTH!? Because you’re having fun! JAN: The more those boundaries kind of melt I think the deeper the process becomes and I think that’s why I feel like—I mean, the children are all left home, but within the broader sense, they’re young adults who will always be life long learners because they don’t have the little pigeon holes to put education into. 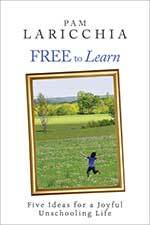 PAM: And I think something that was brilliant for me talking about boundaries was it broke a boundary between me as an adult and my children as children when my definition of learning expanded to be life and I realized that I was always learning. All of a sudden, I realized I wasn’t done as an adult. I wasn’t supposed to know everything! JAN: Absolutely. And that makes you sort of more respectful of them, I think, because you’re all just a bunch of creative people in it together and you have things to teach each other. And you know, children may have less experience, but they often have a much more refreshing perspective on life. So yeah, we’re all just in it together and learning. PAM: Yeah. I love that refreshing perspective. It’s so true and so creative. Sometimes we worry if something comes up today and we’re chatting with our kids about it and trying to brainstorm ideas about it, at first to open it up to have that conversation with our kids can be scary because we’re worried, ‘Oh we’re going to have to do something totally outside my comfort zone that I think will be really ridiculous,’ but man, no! They bring such intelligence and creativity to the conversation, don’t they? And fun! Of course, there are the ridiculous things, too! 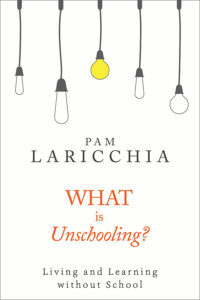 I was wondering, what did you end up finding to be the most challenging aspect of moving to unschooling? I can remember one day somebody saying to me after I’d spent a long time with one of my children negotiating a decision that they needed to make and they said, “Well, why did you spend all that time? You could have just solved that in five minutes and told them this is what you’re going to do, get on with it.” And I said, “Well, when you do that with your children, what happens?” “Well, they might have a tantrum, they might…” So, you pour your emotional energy into an hour of a child being hurt and upset and feeling dismissed and you think that it’s a bad idea for me to pour my energy into an hour of everybody winning. It’s like, you’re going to use the energy, why not use it creatively instead of destructively? All parenting takes a lot of energy and I think if you agree with your children together to use that well, I think the benefits are fantastic. PAM: That’s such a great point. I love the way you brought those two things together and it leads us so nicely to the next question! In your book, which I loved, Winning Parent, Winning Child, you make a great point about how consent-based parenting is not a call for parental self-surrender or martyrdom, rather it’s a call for engagement with our children. And that was just a great example of the value we get from engaging with our children, right? You talk about how there may be times when a mutual solution escapes us and we choose to put our children first, but that’s not ideal. So even though sacrifice is often held up as a virtue in our society, why is simply giving in not a good long-term solution either? JAN: I think it’s important to recognize that sometimes we fail. We don’t always find solutions, where we’re ordinary human beings and those moments are going to happen. And when we do fail, I’d put the child first simply because we have such an enormous responsibility to children. That they’re the people we chose to bring into the world. There are occasions when that’s going to happen, but I think when we end up finding ourselves self-sacrificing on a regular basis, we really need to stop and check that for lots of reasons. For one thing, self-sacrifice cuts creativity dead. If you’ve spent hours trying to find a solution to no avail and you’re too exhausted to keep going, you sometimes need to cut your losses. But if you cut your losses early in the process just to speed things up, then all you do is kind of cut into that creative energy that you might have found ten minutes down the line you might have come up with a great solution. I think when we kind of get in there too fast and just shrug our shoulders and say, ‘Okay, I give in,’ you’ve short-circuited all that creativity. I think the other really damaging thing about self-sacrifice is that it builds resentment. A person who is always giving in might seem as though they’re okay about it but over time it eats away. And I think that poisons the atmosphere of being solution-centered and trying to be creative. And chronic self-sacrificers, if you’ve experienced those in your life, can often become quite passive-aggressive manipulators. The person who always just says, “Oh I don’t mind,” is often saying to the group, “Well I want you to guess what I’d like but I’m not going to put in the energy to tell you.” You have to guess, and you have to get it right. They’re not really being open and honest. I think self-sacrifice when you’ve run out of steam is one thing; I think self-sacrifice, as a pattern tends to have all this kind of other emotional baggage with it. So certainly, don’t be harsh with yourself when you have moments of failure. They’re going to happen to everybody. But I think if you notice that pattern of self-sacrificing or somebody never stating their needs, it’s really time to dig into that and try and shift it because in the long term it breeds bad feelings and it sabotages our creativity. PAM: I love that. It’s such a great point. Patterns are the things to watch out for, aren’t they? When we’re, like you said, talking and trying to figure something out and maybe we lose energy for it and we say “Okay, we’ll try it your way,” because, why not? You haven’t come up with a good enough reason not to. But when there’s that pattern and you give up earlier and earlier with less and less effort not only are you losing your creativity, you’re also losing those moments to learn more about our children and ourselves, aren’t we? JAN: Yeah. It just kind of eats into all of that really, so yeah; patterns are definitely the thing to look for. PAM: Yeah, exactly. There’s just so much relationship development that goes in there and your point before about the time that we’re investing—this is what we’re choosing to put our time in when we’re not putting it into school and all of those other things. We’re choosing to create this kind of learning environment because learning about ourselves and learning about how to connect with others and work through issues with others, these are all valuable and important skills that a lot of kinds that spend all their time in school don’t have a lot of time to develop, do they? JAN: No, absolutely they’re missing that. And that’s what we’ve set this up for, so you know, use it! This releases an enormous flood of innovative thinking for solving problems, like that creative thinking that we were just talking about. But I do think that this can be something that’s just so hard to envision, to believe that it will actually happen until you see it in action. And I remember that there were a couple of valuable mind shifts that helped me to make this shift to consent-based parenting. One was ensuring that my wishes were not about my children. You know what, that was something that was surprisingly hard to tease out! I kind of had to empty myself out and then start adding my needs and wants back in one at a time, playing with them to see if they were really mine and not, ‘Oh I wish my child would do this,’ or ‘I wish they liked this.’ And the other one was being open to changing my mind, right, or my wishes even. And that was so much work to get deep into my own thoughts and to be okay with not liking what I found at first, because, you know, I’m just thinking. I was wondering if you had some tips that you could share about this transition and how it really cracked open that creative problem-solving process. JAN: Yeah. I mean I think it highlighted those shifts really well. Changing your mind because you’ve become open is completely different to self-sacrificing that we were just discussing. It’s absolutely crucial that if you see adults as the people with all the answers and children are the ones in training, then doing that is going to feel counter-intuitive. But if you shift your mind-set so you believe we’re all learners, we’ve all got different sorts of experience, we’ve all got different sorts of creativity, fresh thinking, it doesn’t matter whether a solution to a problem happened to be suggested by a two-year-old or a 35-year-old, it’s just a creative solution. My need to might be to have some clean, calm space—that’s fine, and then I can ask others to help me with that rather than implicating them in what they have to do and what has to happen. Because they may not have any need at all to have a clean room. If your children don’t feel as if you’ve already made up your mind about what the outcome has to be, if you are genuinely open-minded and you treat them as people who have something to offer, then they’ve got nothing to lose in contributing their creativity. And once they see this creativity is taken seriously, more and more of it is forthcoming. So I think it’s about that creating of a positive spiral rather than a kind of downward slope. Just getting in there and being really flexible and as you say, owning your needs as yours and then saying how can we help with this? So you’re asking them for help in the same way as they ask you for help. It becomes this community of creative people who are sorting out how they live together. PAM: Yeah, that’s such a great point because all situations come up for discussion, what the kids want to do and we try to make that happen and what we want to do. That they are all equally valuable and deserving of discussion. And the other piece, when you were talking about cleaning their room and stuff like that, the other piece about being so open and us changing our minds is showing them that it’s okay to change your mind. Over the years my kids have enjoyed messy rooms and then they’ve gone through times when they really liked keeping it organized. And you don’t want them to think okay, this feeling about needing it, wanting it organized isn’t in reaction—you don’t want them to ignore it because they feel like they’d be finally satisfying your need for a clean room, right? It’s that kind of emotional baggage again, isn’t it, and if that’s not there than people can freely move positions without that kind of fearfulness or feeling that they’re going to be looked down on because they held a position and now they don’t. We all change all the time. Another aspect of the transition into consent-based parenting that I wanted to touch on is moving beyond the conventional idea that children will tend towards bad choices if they aren’t controlled, right? 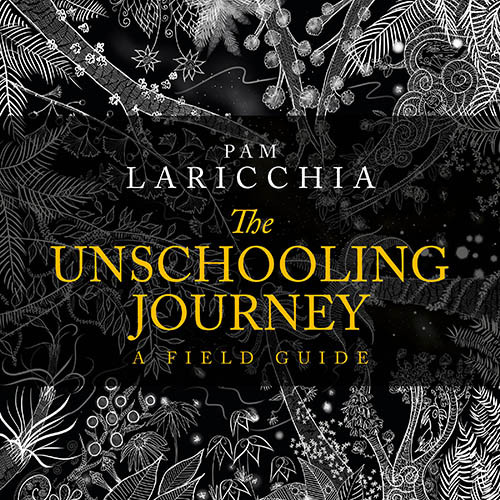 As we move to unschooling, we discover that what our children really lack is just experience, especially if we’ve been parenting with rules and control for years, our children would have had little experience with understanding themselves, their needs, how to make reasonable choices, how to move through that process. So at first, they may behave in ways that seem to us at least as irrational, yet that is still not a sufficient justification for falling back on control and compulsion, is it? There is another way that we can look at those kinds of situations. JAN: Yeah, yeah, that’s exactly right. If you’ve got years of compulsion to undo then there is going to be some disbelief on the part of those children when you say that it’s gone now and there’s going to be some testing out and that can be very, very hard and that can be very, very scary. And I think just being really open and honest with the children that this is a big change for you as well and you’re going to struggle with it and so we just have to be on side with each other and have to be kind to each other but this is the direction we’re really going in. So, in the transition we need to look at what might be irrational choices as maybe just establishing that trust and then building toward creativity and that does sometimes take a lot of holding your breath or biting your tongue and just kind of seeing where it leads and talking all the time. I think the big thing is that you’re constantly conversing about this, you constantly reassure and you constantly say, “I got that wrong and how do we go back to the drawing board? I don’t understand your decision there, but it’s your decision and can you tell me more about it?” And just keeping those channels as open as you possibly can. PAM: I love that. And that’s the hard part, I think, especially at the beginning, right? You’re biting your tongue yet you’re having conversations! It’s a different kind of conversation now, totally different. JAN: Yeah, it’s not a conversation about judgment anymore. PAM: Or telling them what to do. PAM: Yeah, I love that. Because when you’re picking their brains, you’re right, if you do it whether with that passive aggressive approach or that judgment in your voice, they can tell, and like you said, you’re taking a step backwards, you’re losing that piece of ground of trust that you had been gaining. So that is something that you really want to watch out for but when you start asking those questions, your child has probably not been asked those questions before, right? JAN: They’ve just been told so often. JAN: It opens up a very different space, doesn’t it? PAM: Yeah, it’s so much learning for everybody, isn’t it? JAN: Yeah, note to self! 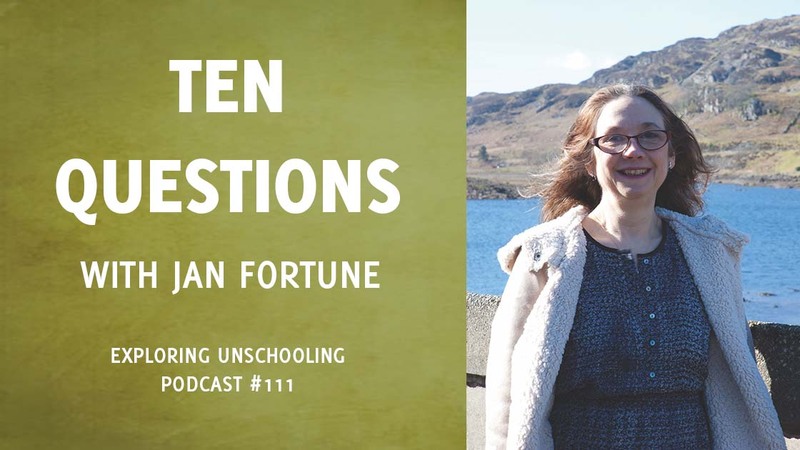 Even for parents who don’t choose to share more publicly about their latest unschooling adventures, it’s still so valuable to shift away from that conventional mindset that our children are products turned out at the end of our job as parents. I think breaking this invisible tether between us and our children as builder and product is a crucial step in our ability to see them as separate and whole human beings. Has that been your experience? I mean, of course we all want the best for our children but the temptation I think to over-identify with them can be quite stultifying. I am not my child and my children have the right to shape their own lives. It’s a privilege to support that and to be part of the journey as far as you’re wanted, but I don’t produce any life but my own and therefore I shouldn’t be taking credit for that. It’s just a creative journey with the people I love most, with the people I have responsibility for, but their lives are their lives and they have to be allowed to make mistakes and get things wrong and see what works just as I do. When you look back as an adult over your life you can think, “Oh my goodness, what was I thinking?” over so many moments, and yet they’re often terribly worried that we should protect our child from making any mistake ever and never having regret. I mean, yeah of course we want them to be happy and have the best, but it also has to be theirs. And I think children who don’t get that sense of ownership of their own stories; I mean I think that’s often a struggle with mental health later on. So it really is important not to see your child as the product but just another autonomous person doing the best they can as well. PAM: That was a huge shift for me and it was such a nice shift in our relationship too. It was releasing for me and yet I felt even more connected to them at the same time, right? Because now they’re on the journey like me, right? JAN: And they can afford to let you in when they know that because they know you’re not going to take over. JAN: It doesn’t surprise me. I think actually taking delight off someone else actually takes it away from them rather than be delighted that you have got this and you have done this and it was what you wanted, that’s just so affirming. PAM: I love that. It’s a big, big step and it’s so worth thinking about. 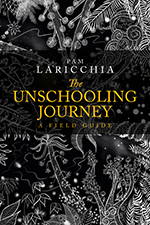 Looking back, what has been the most valuable outcome from choosing unschooling for you? I love that so much, Jan. Thank you so, so much for taking the time. I know it’s taken us awhile to connect with both our rural internets (laughter) but thank you so, so much for taking the time to speak with me. I really enjoyed it and thank you. JAN: It was a pleasure and thank you very much. Thanks so much, Jan! Have a wonderful day. JAN: And you take care!